With the ATEM Camera Control Panel, up to four URSA Broadcast cameras can be remote controlled independently of each other. Technical parameters can be easily controlled by a single user via the portable unit. 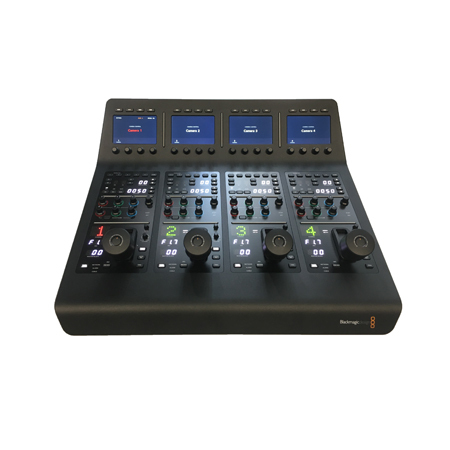 In addition, the control panel works in combination with the ATEM Television Studio Pro HD video mixer.